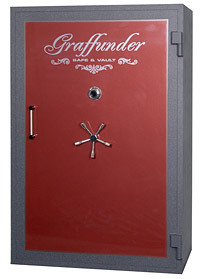 As a licensed dealer for Graffunder®, Thompson Safes is your source for Graffunder® Safes in Frederick, MD, and surrounding areas in MD, PA, VA, and WV. We offer a variety of residential and commercial safes for your home or office. Whether you are looking for a safe to store guns, jewelry, or other valuables, Thompson Safes, in Frederick, MD, has the perfect safe for you. Stop into Thompson Safes on Grove Rd. in Frederick, MD today or give us a call at 301-631-1500 for more information on our safes, accessories, and safe moving services. We DELIVER!